The lacrosse team at the Bocconi Universitá is very well known and successful. They have won the italian championship for the third time. But first, here are some information about the university. Iit was founded in 1902 and was the first university which allowed the degree in economics. Bocconi played a leading role in the italian econnomic and social modernization for over a century. It is a research university with democratic values. The university has always remained the financially and politically independent. Of course the lacrosse team at the Bocconi Universitá are always looking for new players. The training starts in the middle of september. Anyone who wants to participate should register, wether they have knowledge about lacrosse or not. Everyone can participate in two trail sessions. In the following video you can see a really cool training of the team of Bocconi. It is worthwhile to take a look, as it is already fun only watching them train. Five best Friends and one Panda – that’s „Dude Perfect“. They make absolutely funny sports videos of really all topics. In this episode they tried to get some extraordinarily spectacular lacrosse trick shot challenges with Paul Rabil done. In the following video they stand out of everything in precession and distance. Check out the lacrosse trick shot until the end, beacuse we promise it will always be superior. Have fun to watch, like us. Michigan Lacrosse have made an incredible video that probably describes and applies to every lacrosse team in the world. There is nothing that motivates a player more than seeing how hard others train, so watch these guys and do it even better! Definitely a video worth seeing. You just can’t get enough of lacrosse, can you? Neither can we! As soon as we find an interesting, cool lacrosse video on the internet, we’ll be sure to share it with you! 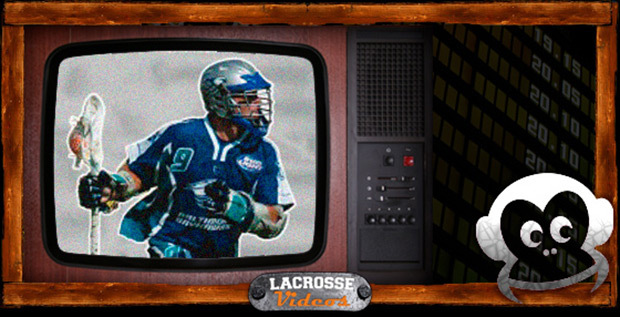 Lacrosse fan videos, lacrosse championship games or lacrosse highlights, you name it and we have it! Was there ever a better way to spend your time on the internet, than watching awesome lacrosse videos all day? Take a look! When you’ve seen all our videos, then you can also check for new lacrosse fotos, because we have those too! Done with the pictures too? Alright, then have you read the latest lacrosse news? Yes? Checked upcoming lacrosse events? Thought so! Then make sure you’re already following us on facebook and twitter, because it won’t be long until we’ll have cool new stuff only for your enjoyment! There’s also our lacrosse shop to see, prices to compare and offers to take advantage of, so click this magical link and get yourself an early Christmas, Easter, birthday present, or just a present, because you’ve earned it! If you’re looking for something specific and can’t find it anywhere in our shop, then let us know! We can also help with any questions you have about everything we sell, we know our stuff! See all our contact details here.